This must be one of the most beautiful times in an English garden with tulips and blossom everywhere. 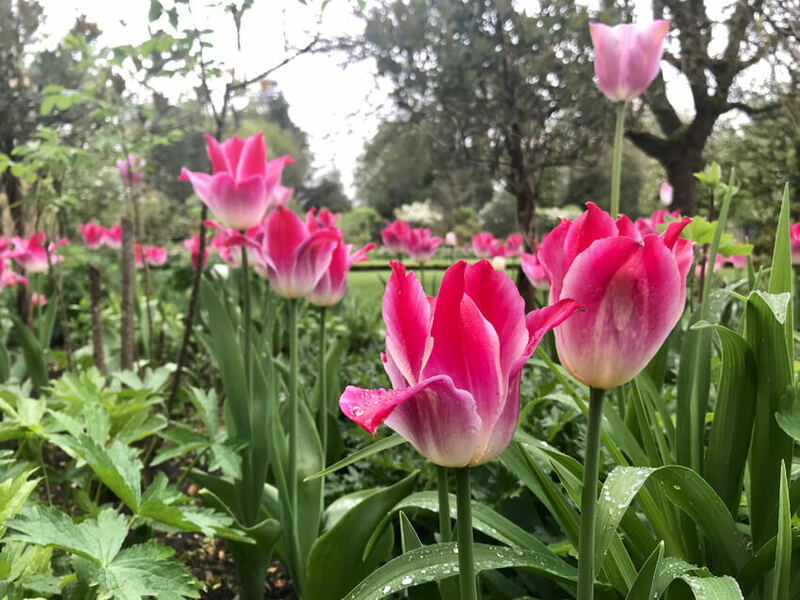 Discover the patches of rare bulbs, the massed colour now in the vegetable garden, and find the newly made miniature White Garden hidden away never to be found except for the adventurous! Its the perfect time to visit. The Tea Room cakes and Easter Treats are always scrumptious and lunch is served throughout Easter. On Easter Sunday bring the youngest members of the family to find the Bunny Trail and there are goodies to be found for all those that find the bunnies!